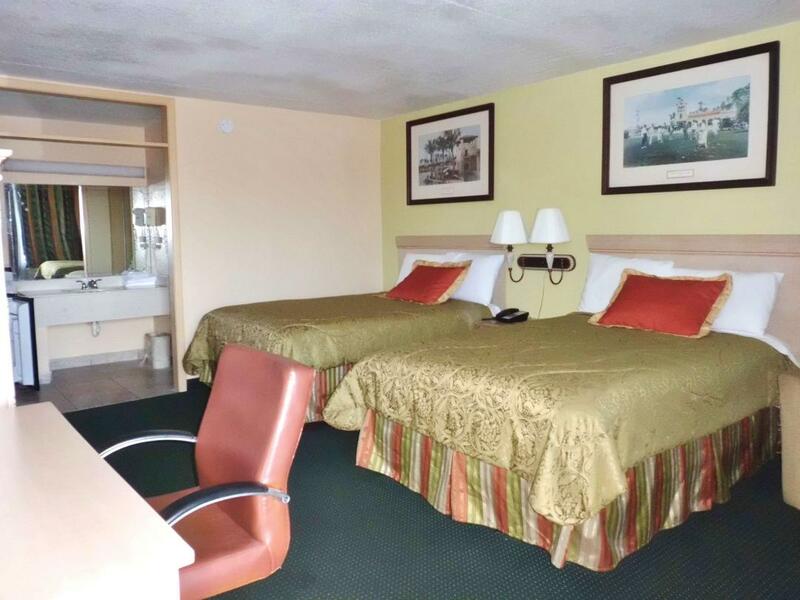 America's Best Inn Lakeland offers the most value for your money when staying for business, pleasure, or just passing through. 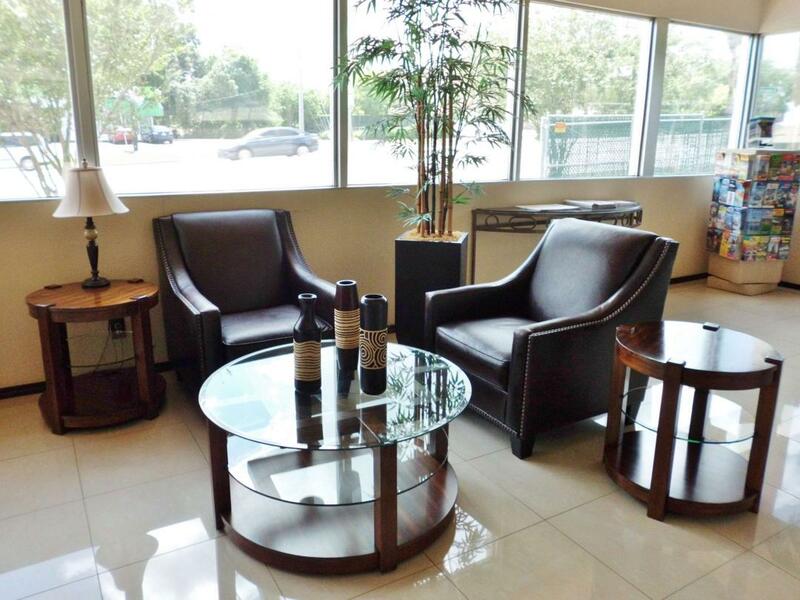 We offer clean spacious rooms, a 24-hour front desk, fresh coffee in the lobby, and free Wi-Fi. 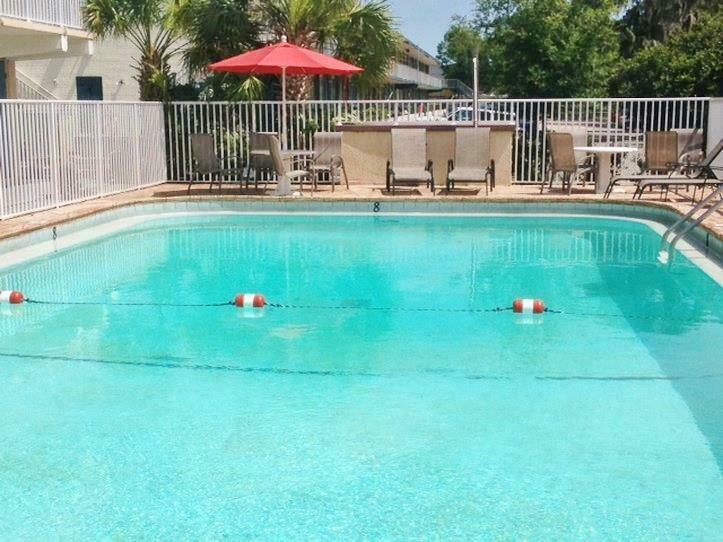 Take a dip in our outdoor pool or barbecue on-site using our grills. 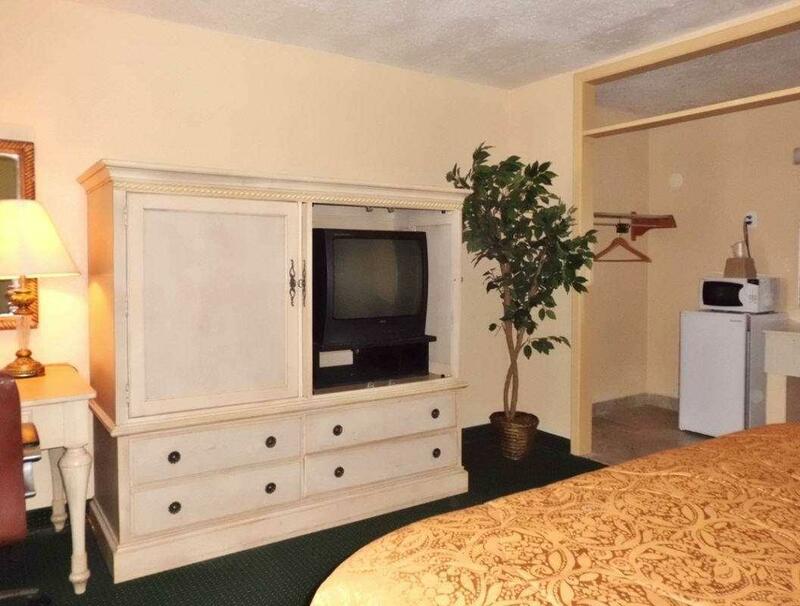 All guest rooms include microwave, mini-fridge, cable TV, ESPN, HBO, and a desk with chair. 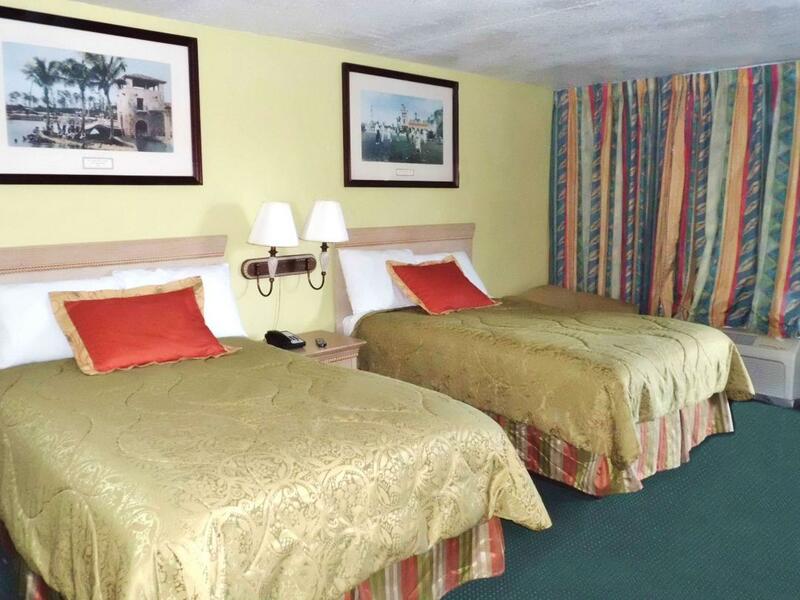 Take advantage of our extremely comfortable beds and relax while saving money year-round with our Kids Stay Free Policy (8 and under in parent's room.) Hairdryers and ironing boards are available at the front desk upon request. 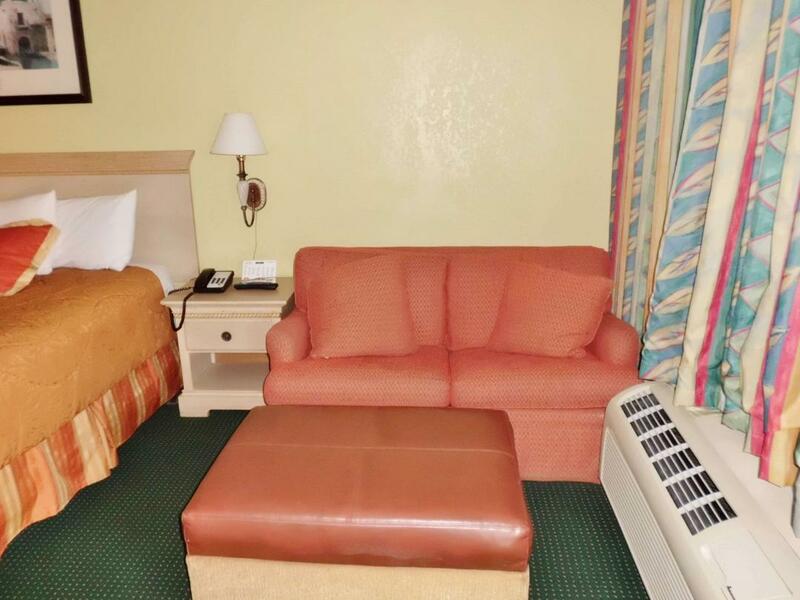 For your convenience, our hotel offers both smoking and non-smoking rooms. We are located about 2 miles off of US-98 on East Memorial Boulevard. 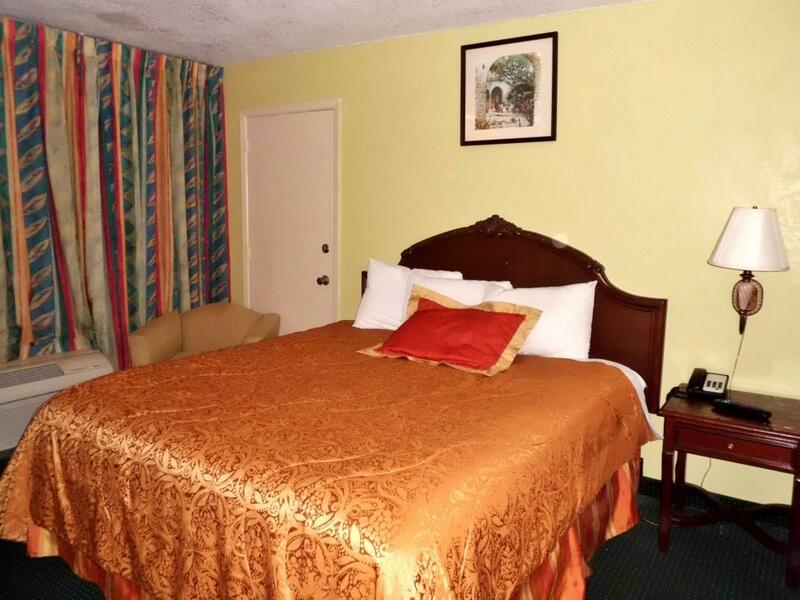 We are near attractions such as Polk Museum of Art, Florida Southern College, and Joker Marchant Stadium. 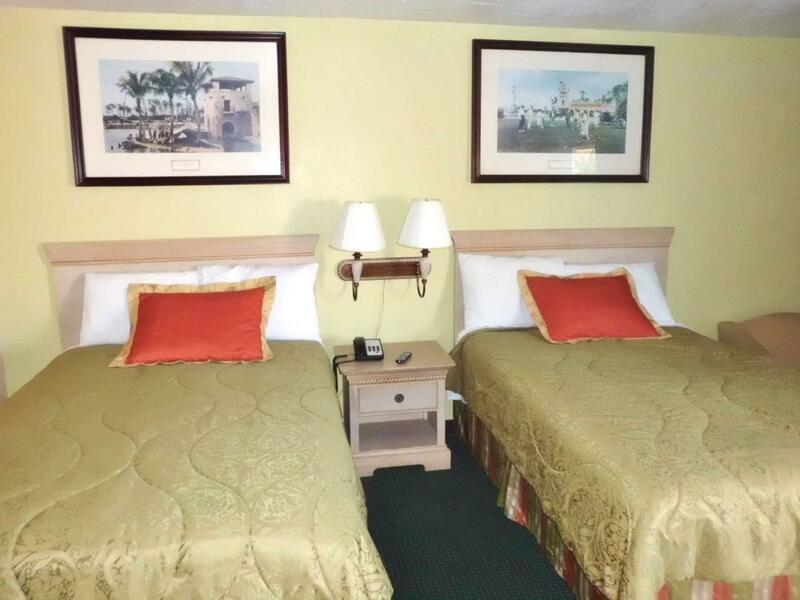 America's Best Inn Lakeland is your best choice within the Polk County area. 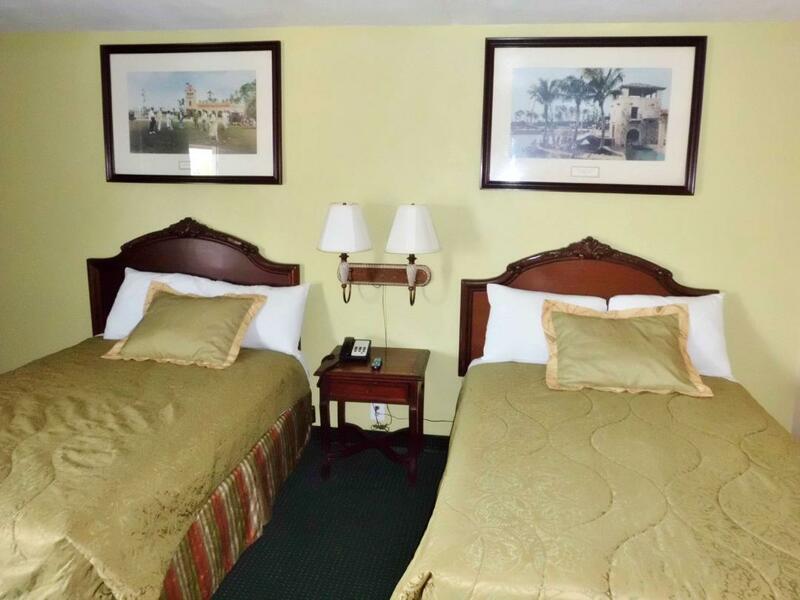 We offer ideal accommodations and location whether you are in town for entertainment, sightseeing, or simply passing through on your way to Orlando or Tampa. 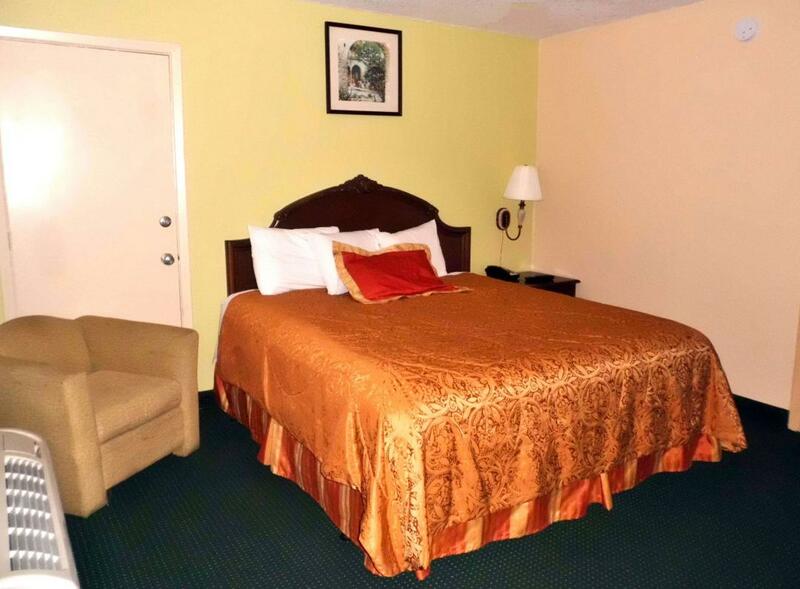 At America's Best Inn Lakeland our goal is to provide our guest a great experience, not just a place to stay. 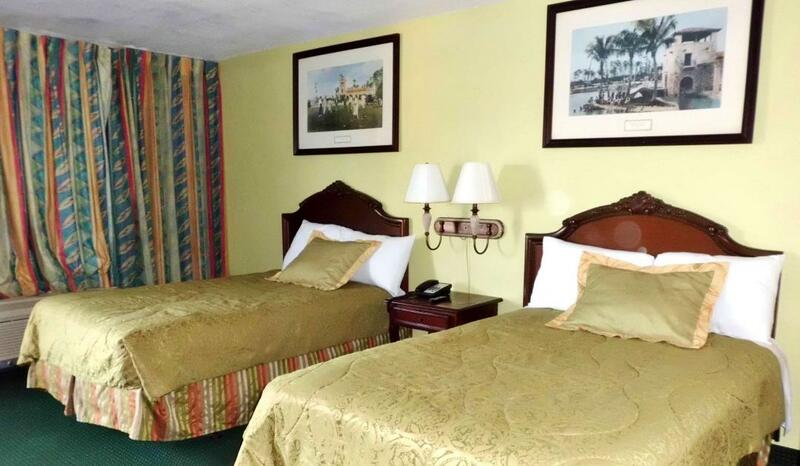 At America's Best Inn Lakeland, Expect More. Get More. Steak 'n Shake, 0.2 mi. Harry's Seafood Bar & Grille, 1.1 mi. Texas Cattle Company, 1.5 mi. Cozy Oaks Restaurant, 1.6 mi. Check out these Lakeland attractions during your stay. Lakeland Community Theatre, 1.5 mi. The Lakeland Center, 2.2 mi. Wedgewood Golf Course, 3.1 mi. Lakeland Square Mall, 3.3 mi. Common Ground Park, 4.7 mi. Salon Salvatore Day Spa, 4.8 mi. AMF Lakeland Lanes, 4.9 mi. Saddle Creek Park, 4.9 mi. Silver Moon Drive-In Theatre, 5 mi. Lakeside 18 & IMAX, 5.5 mi. Palm Cinema 3, 6.6 mi. Lake Myrtle Sports Park, 11.3 mi. Lake Shipp Park, 14.4 mi. Seminole Hard Rock Hotel & Casino Tampa, 26.7 mi. Polk Museum Of Art, 1.9 mi. Florida Southern College, 2.6 mi. Joker Marchant Stadium, 2.7 mi. Florida Polytechnic University, 11.5 mi. Colt Creek State Park, 19.8 mi. Legoland Florida Resort, 20.8 mi. Alafia River State Park, 30.8 mi. University of South Florida, 31.1 mi. Walt Disney World Resort, 37.4 mi. Universal Orlando Resort, 45 mi. Universal's Islands of Adventure, 45.1 mi. Comfortable guest room with 1 Double Bed. Smoking Permitted. Amenities include free wireless high-speed Internet access, microwave, mini-fridge, cable TV, ESPN, HBO, Encore, grab bar in bathroom, desk with lamp, and wake up service. Irons are available for a $10 deposit. Hairdryers and ironing boards are available at the front desk upon request. 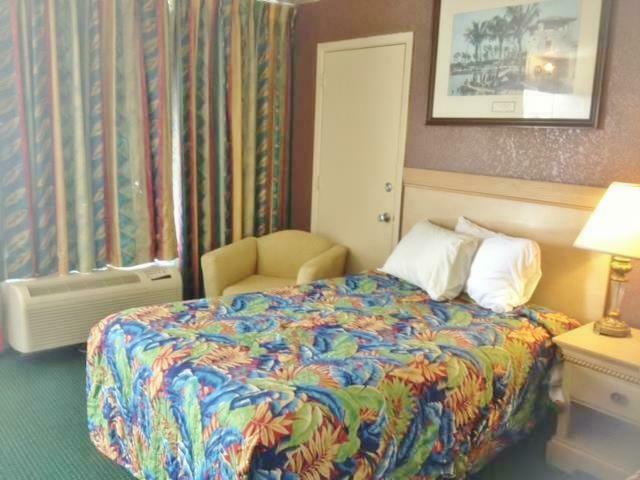 Comfortable guest room with 1 King Bed. Non-Smoking. 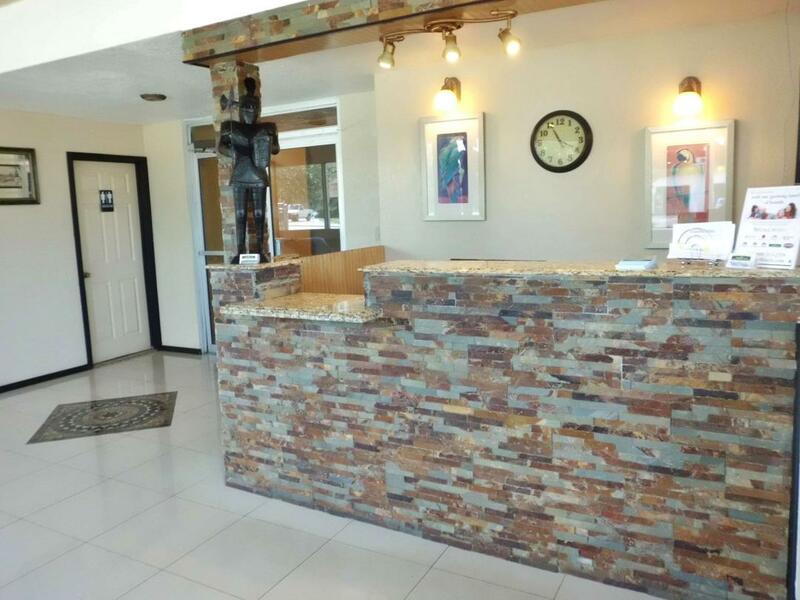 Amenities include free wireless high-speed Internet access, microwave, mini-fridge, cable TV, HBO, ESPN, Encore, grab bar in bathroom, desk with lamp, and wake up service. Irons are available for a deposit of $10. Hairdryers and ironing boards are available at the front desk upon request. 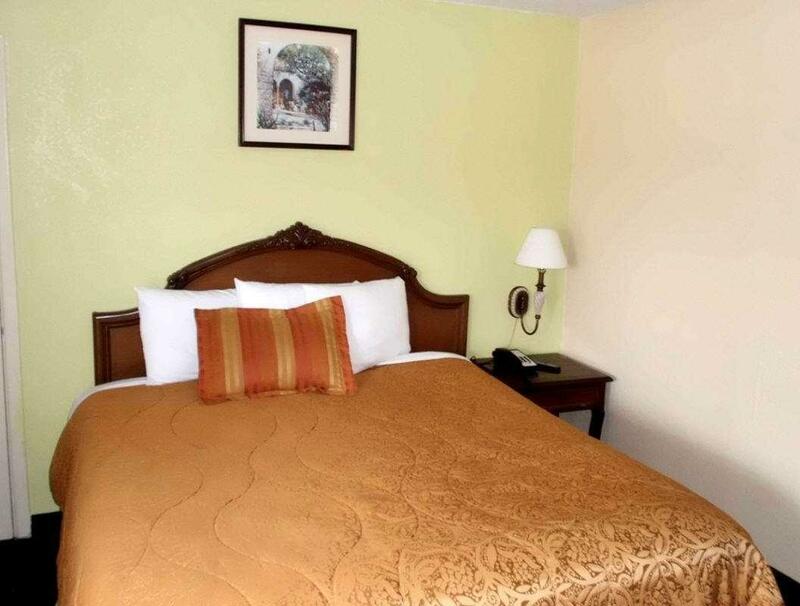 Comfortable guest room with 1 King Bed. Smoking Permitted. 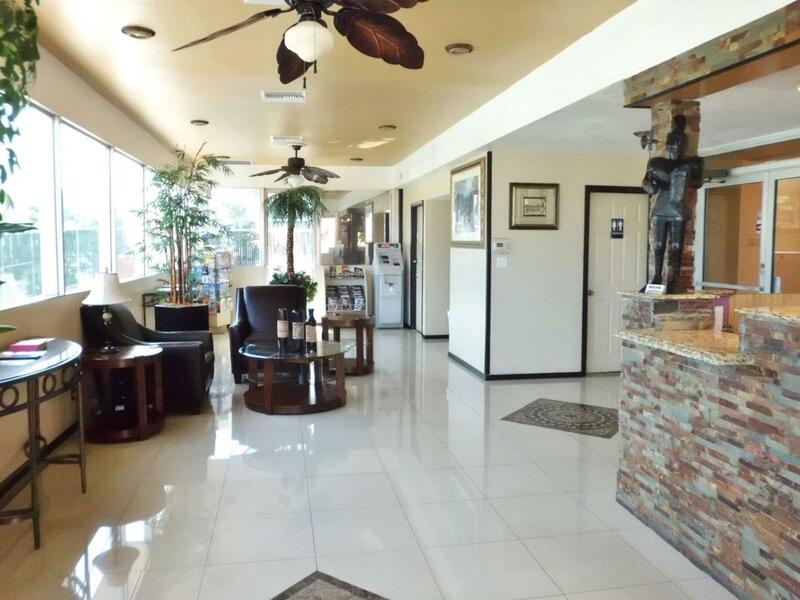 Amenities include free wireless high-speed Internet access, microwave, mini-fridge, cable TV, HBO, ESPN, Encore, grab bar in bathroom, desk with lamp, wake up service. Irons are available for a deposit of $10. Hairdryers and ironing boards are available at the front desk upon request. Comfortable guest room with 2 Double Beds. Non-Smoking. 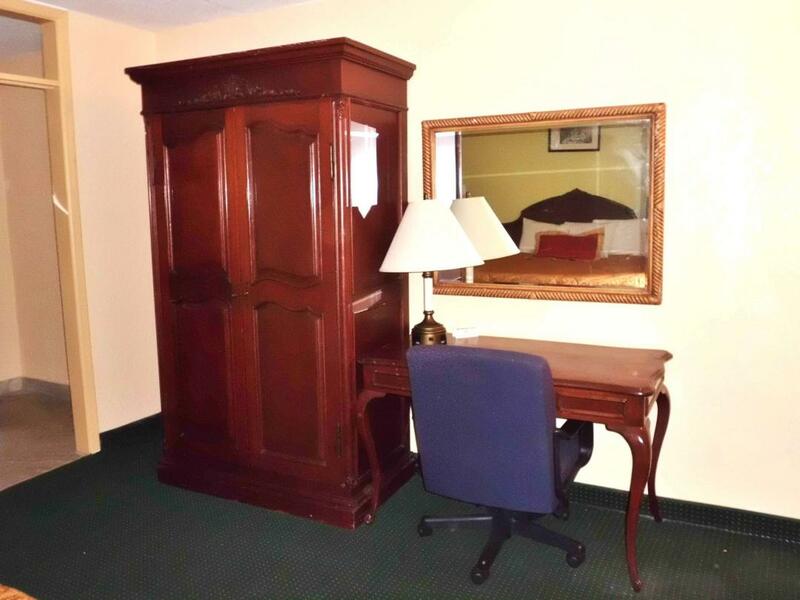 Amenities include free wireless high-speed Internet access, microwave, mini-fridge, cable TV, ESPN, Encore, grab bar in bathroom, desk with lamp, and wake up service. Irons are available for a deposit of $10. Hairdryers and ironing boards are available at the front desk upon request. 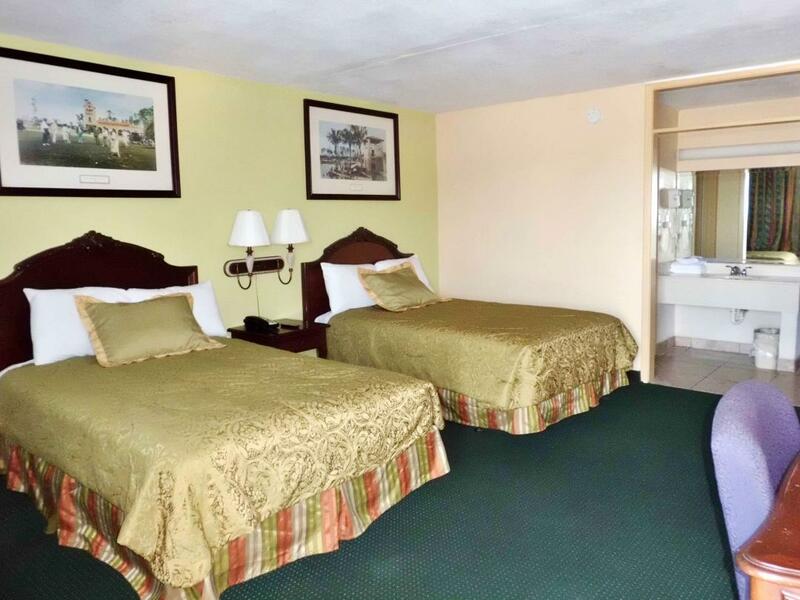 Comfortable guest room with 2 Double Beds. Smoking Permitted. 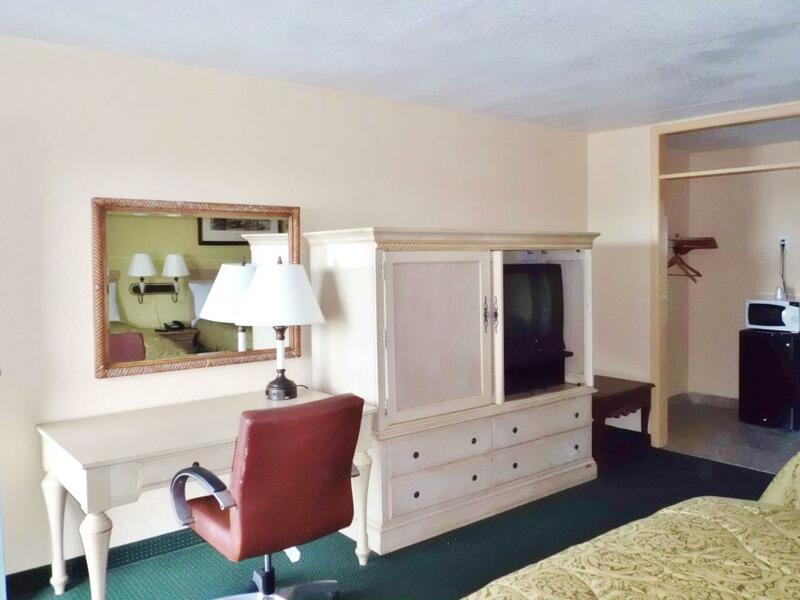 Amenities include free wireless high-speed Internet access, microwave, mini-fridge, cable TV, ESPN, HBO, Encore, grab bar in bathroom, desk with lamp, and wake up service. Irons are available for a $10 deposit. Hairdryers and ironing boards are available at the front desk upon request. 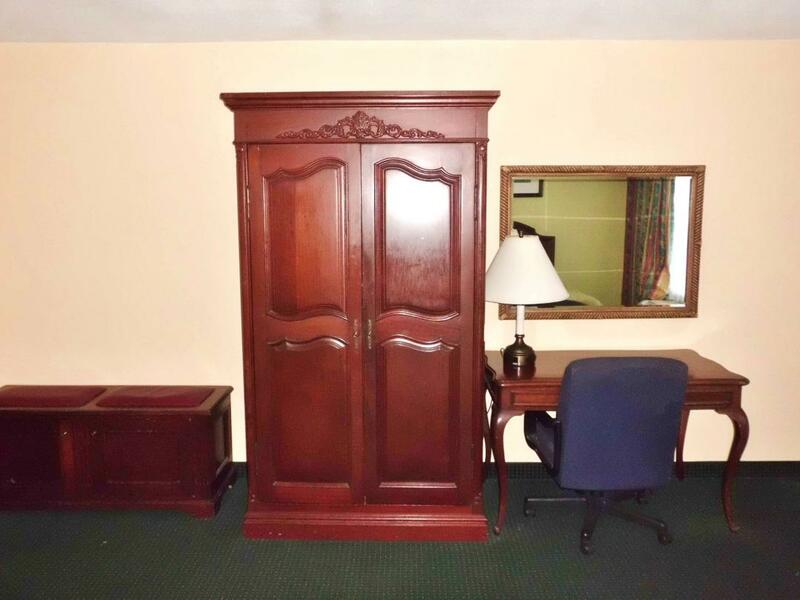 Spacious suite with 1 King Bed. Non-Smoking. 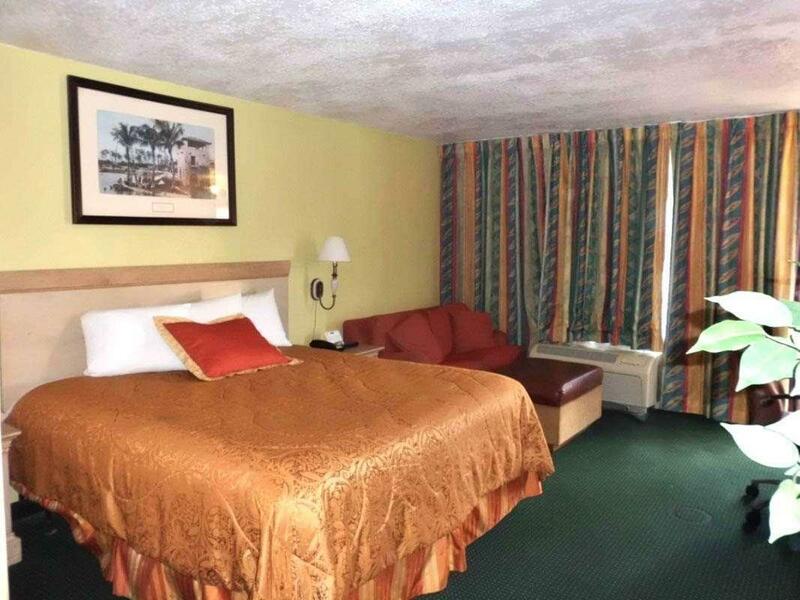 Amenities include free wireless high-speed Internet access, microwave, mini-fridge, cable TV, ESPN, HBO, Encore, grab bar in bathroom, desk with lamp, and wake up service. Irons are available for a $10 deposit. Hairdryers and ironing boards are available at the front desk upon request.